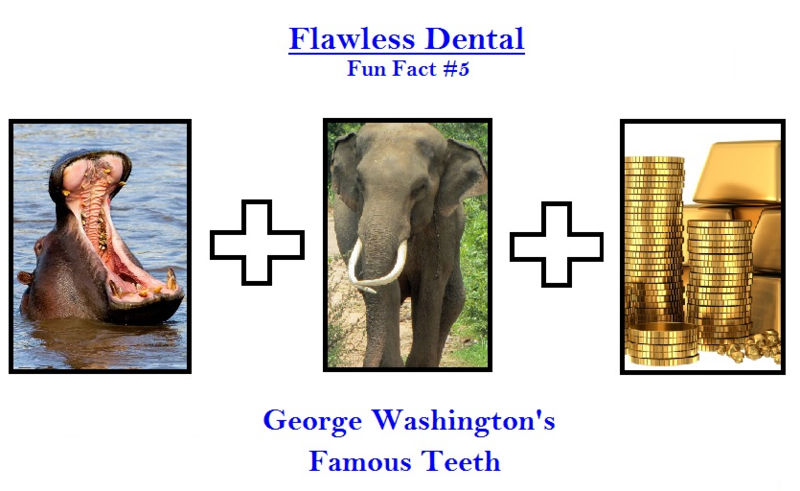 Contrary to popular belief, George Washington's famous dentures were not made of wood. His custom chompers were crafted from a mixture of: Hippopotamus Teeth, Elephant Ivory, and even Gold! Thankfully, in today's modern world, there are many more options for dentures, and quite better looking to say the least!